You'll score free custom pieces with this exclusive coupon code! SCORE a Free One Month Subscription to Rocksbox! 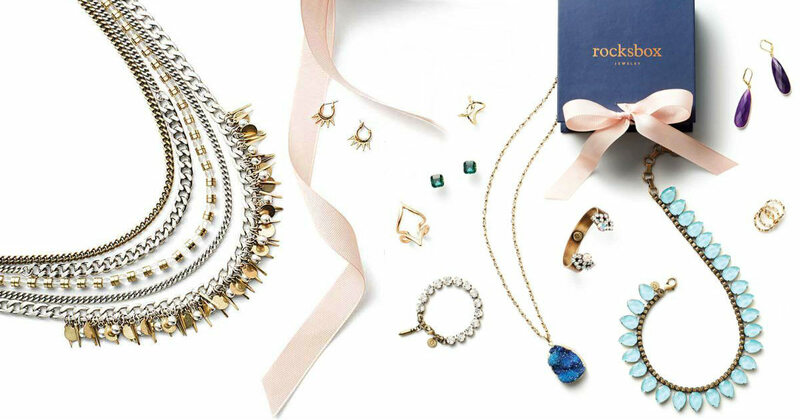 Make your life easier and more stylish with custom jewelry, hand selected by a stylist with Rocksbox! When you register you will take a style survey that helps your personal stylist choose the best pieces for YOU! You can wear the jewelry as much as you want for the month. When you get tired of the jewelry just send it back with the free prepaid label and RocksBox will send you all new jewelry in the mail! Shipping and returns are FREE. Get your First Rocksbox for FREE with Coupon Code: SHOPROCKSXOXO, If you LOVE it you can pay the $21 monthly fee, or cancel for free. What makes Rocksbox special is that you're NOT limited to one box per month. You can keep the jewelry for several weeks or months or return it for new jewelry every week! If you want to buy one of the pieces of jewelry your $21 per month membership will apply towards that piece. (Example: if a Necklace is $31, you'll only pay $10 after your $21 membership credit is applied)..pretty cool! Want to really make the most of Rocksbox? Have a friend sign up with you! That way you both can share each others Jewelry!